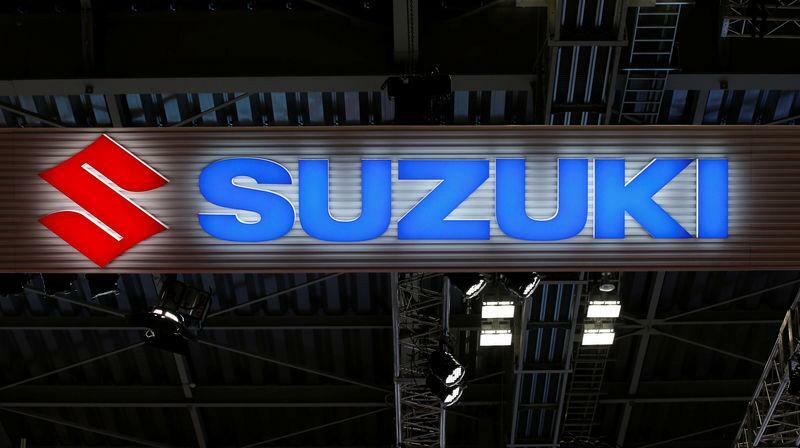 TOKYO (Reuters) - Suzuki Motor Corp booked a 33 percent drop in quarterly profit as a depreciating rupee and higher selling costs mixed with sluggish sales growth in top market India to drive earnings to a two-year low. Japan's fourth-biggest automaker on Tuesday posted operating profit of 58.0 billion yen ($528.09 million) for October-December, its lowest since December 2016 and down sharply from 86.96 billion yen in the same period a year earlier. The result compared with the 82.59 billion yen median of 10 analyst estimates compiled by Refinitiv. Suzuki posted a slide in profit for the second consecutive quarter, putting the automaker on track to snap a three-year run of record-high annual profit. Softer profit could impact the firm's ability to invest in new technologies such as self-driving cars and electric vehicles to stay competitive against global rivals. Suzuki nevertheless its full-year operating profit forecast at 350 billion yen, down 6.4 percent from a record last year. Weakness in emerging market currencies, including the Indian and Pakistan rupees were key factors in the profit slide, the automaker said. A depreciating Indian rupee alone has knocked 15.5 billion yen from Suzuki's April-December profit. The automaker's global vehicle sales totalled 780,000 units from 787,000 a year prior. Sales in India, which accounts for roughly half of the automaker's total global sales, inched up slightly to 406,000 from 401,000 as sales growth slowed. Suzuki, maker of the popular Swift subcompact and Baleno compact hatchback, has been posting record annual sales in India, where it dominates the market through its majority stake in Maruti Suzuki India Ltd.
Around half of all passenger cars sold in India fall under the Suzuki brand, but higher commodity prices and a weakening rupee have dented demand for cars in the past few months. While sales have slowed across the Indian market, Maruti Suzuki has been increasing its vehicle prices to mitigate the impact of rising raw material costs. The automaker now expects to sell 3.33 million vehicles globally, down slightly from a previous forecast for 3.34 million.